The popularity of Facebook is immense and it can be imagined by considering the number of installs the app has on smartphones, regardless of OS. Almost all smartphone users use Facebook and if you are one of them, here are 10 Facebooks tips and tricks you should know about. Facebook, a social network that a lot of people hate or dislike and yet continue to use. To say Facebook has dominated the social networking scene would be an understatement. It is the social network despite all its flaws and misconduct. Even if you don’t like it, Facebook is important because just about everyone from big companies and news outlets to your favorite burger joint is there. Not to mention, all your friends and family or at least most of them are on Facebook as well. 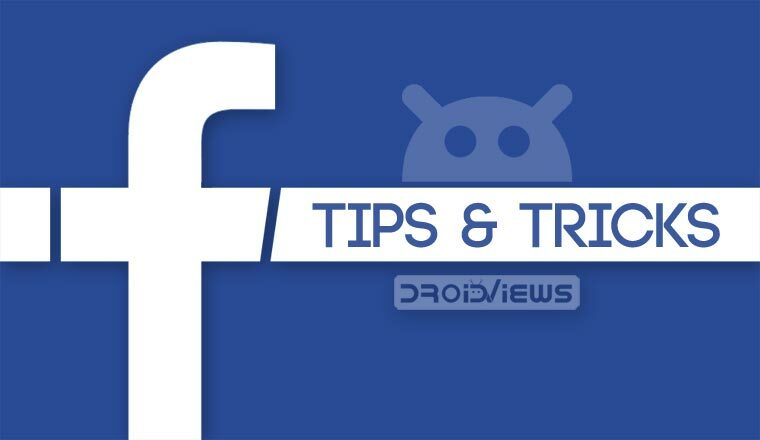 It becomes important then to know some Facebook tips and tricks to use this popular social media app more efficiently. Because if you don’t, you may end up being the victim of another Cambridge Analytica scandal. Not only that, but you should also be able to control who sees your content, or who can find you on Facebook. Facebook does allow users many options, but not many know about those. Here, we’ll take a look at some of those options. Since most of Facebook’s users come from Android smartphones, we’re going to focus on the Facebook app here. Facebook notifications can quickly become a nightmare if you’re not careful, especially for those who use it heavily. You have 400 friends, so many comments, so many people liking your comment, and you get a notification for everything. If you don’t want that, you can change this in the Facebook app settings. Go to the menu tab (first from the right) and scroll down to Settings & Privacy. Tap on it to expand the menu and select Settings. Now scroll down all the way and you’ll find Notification Settings under the Notifications heading. Select it and on the next page, you can turn on or off a number of notifications from comments to birthday reminders and friend requests. Not only can you manage the notifications you get from the Facebook app but also email and SMS notifications. Don’t forget to checkout our WhatsApp tips and tricks article where you can find 25 tips to use WhatsApp like a pro. We’ve all commented on that post which we know was always going to get a lot of comments we won’t be interested in. Like wishing someone happy birthday on one of their posts. Your notifications are then flooded with random person commented on a post you commented on and it’s usually always happy birthday. This is, of course, just one example out of the many. The good thing is you can always mute notifications for the post. Tap on the three-dot menu button on the post and select Turn off notifications for this post. You can also do the same directly from the notification without opening the post. Want to make the most of Google Maps on your Android? Don’t forget to check out 20 Google Maps tips and tricks. Facebook really wants to build a video platform that could compete with YouTube. The company is going about it by autoplaying videos on the Facebook app as soon as you scroll to them to increase views. This can also be convenient given that several publishers have taken advantage of this by showing videos which are meant to be viewed quietly. However, playing videos does mean spending a lot of data. If you’re on limited resources you might want to check that. For this, go to the menu, scroll down and tap on Data Saver. Toggle it on and then turn off the second toggle if you never want a video to autoplay. It seems the Facebook app does not allow users to stop videos from auto-playing without turning on Data Saver anymore. If you do like auto-playing videos, you can change whether the videos start with or without sound in the Settings. Go to Media and Contacts and toggle on or off the first toggle depending on your preference. You can also customize your Facebook news feed according to your own personal preferences. This option is located right above Media and Contacts in the Settings all the way towards the bottom labeled News Feed Preferences. Here, you can Prioritize who to see first, Unfollow people to hide their posts, Reconnect with people you unfollowed, and see Apps hidden from News Feed. Facebook introduced a new facial recognition feature a while ago which would allow users to be notified whenever a photo of them was posted on the website. This works without the user even being tagged in the photo. Facebook claims this will help combat fake profiles. With recent allegations and proven misconducts though, it is hard to trust Facebook. If you don’t, you can toggle off facial recognition in the Settings. It is located under the Privacy section labeled as Face Recognition. Facebook can let you know whenever somebody or even you sign in with your account on a device not recognized by Facebook. This can get really annoying if you log in using a lot of new devices all the time but most people don’t do that. You can set up Login Alerts in Privacy Shortcuts under Settings & Privacy. When you get to the Privacy Shortcuts page scroll down to Account Security and select Get alerts about unrecognized logins. Smartphone addiction is a real thing these days and several big names in the market have put forward their solutions to combat it. Google introduced Digital Wellbeing into Android, Apple did something similar with iOS and not wanting to be left behind, Facebook now lets users see how much time they spend on the social network as well. It isn’t quite the eye opener since it doesn’t really tell you how much time you’ve spent doing what exactly. It pretty much tells you what your Android or iOS device will tell you anyway except it also takes into account your Facebook usage across all devices. In light of the recent controversies regarding Facebook, which are actually pretty regular, the company has taken several steps to ensure user privacy, at least on the outside. Users can control the data they share and with whom. It’s a good idea to visit the Privacy Shortcuts page every few months. The first option here is to Review a few important privacy settings under the Privacy heading. Here you can choose the default audience for your posts, select who can see what information on your profile and which apps can access your data and who can see them. The Facebook app, especially on Android, is quite heavy even though it may not be the battery hog it used to be. 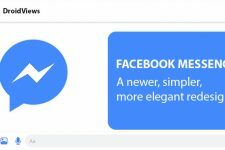 Naturally, over the years there have been many unofficial Facebook clients looking to improve on the overall app experience. Some focus on being lightweight, some focus on features while others try to be good overall. Most people can actually do without all the extra bells and whistles the Facebook app packs. 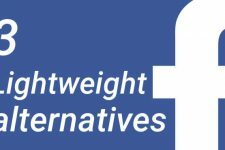 We have an extensive list of the best Facebook app alternatives that you can try. If a simple, down to the basics Facebook experience is all you’re after, Facebook Lite is a perfect choice. It’s an official client, for one, and also as lightweight as you can possibly find. We’ve done detailed comparisons between Facebook and Facebook Lite that you can check out for more details.